Advances in technology are bringing major changes to the energy industry. We are generating a growing portion of our electricity with renewable resources, and advances in automation and communications technology are making our power grid smarter and more reliable than ever. These advances are exciting news for American energy consumers, but they’re also changing the cost structure of the industry. Since electric cooperatives use costs to determine their rates, changing costs require corresponding changes to rates. Not-for-profit electric cooperatives work hard to ensure their rates are fair to all members. To accomplish this mission, cooperatives design their rates so that the bill each member receives matches the cost of serving that member as closely as possible. But just because your local electric cooperative’s rates are designed to be fair doesn’t mean they’re always easy to understand. In fact, rate structures that do the best job of fairly assigning costs are often the hardest to understand. 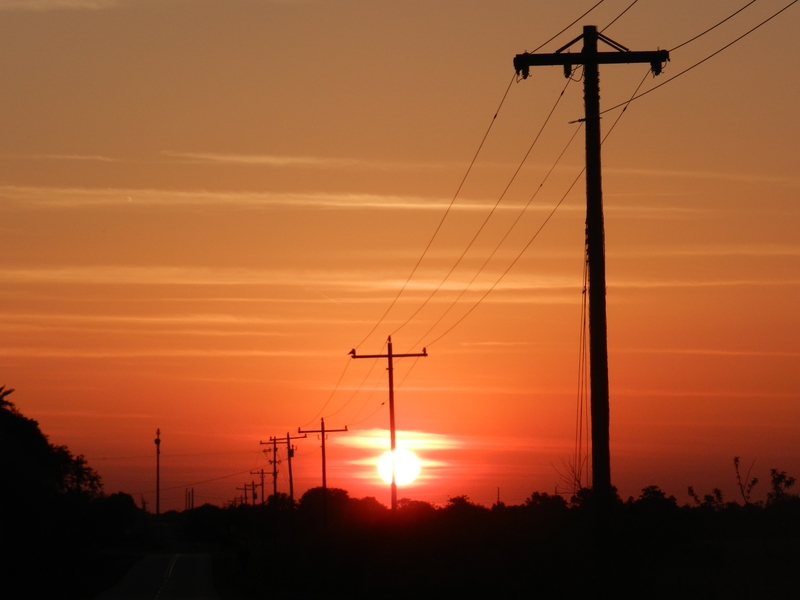 Here is a quick look at three of the approaches electric cooperatives are trying. With time-of-use rates, when you use electricity is just as important as how much you use. Rather than charging the same price for electricity at all times, time-of-use rates charge different prices based on the time of day when the energy is used. The goal of this system is to encourage consumers to reduce their energy use at the times when demand for energy is highest. For most electric cooperatives, demand for electricity spikes in the afternoon and early evening hours as heating units and air conditioners battle outdoor temperatures and families return home from school and work and began evening routines. When demand for energy spikes, electric cooperatives must purchase extra electricity to meet the demand. That extra power typically comes from more expensive power plants. A time-of-use rate ensures there’s always power available when consumers need it but provides price incentives to shift certain activities — such as running the dryer or dishwasher — to times when demand for electricity is lower. When co-op members embrace this model, they can lower their monthly bills and help the cooperative reduce its costs — which can save members even more money in the long run. Perhaps the most confusing concept in energy billing is the demand charge. Historically, most residential consumers have not paid demand charges. But as our power grid becomes smarter and our network of generation resources gets more complex, it’s likely that more electric cooperatives will incorporate demand changes into their residential rate structures. Demand measures the highest amount of electricity you demand from the system at one moment in time. The higher the demand, the more it costs to build, operate and maintain the equipment delivering that energy to you. To understand demand charges, imagine you’re at a party chatting with two guests and you ask them how they got to the party. Betsy tells you she drove 150 miles per hour to get to the party. David says he drove 150 miles to attend the party. There’s a big difference between a car capable of traveling 150 miles and a car capable of traveling 150 miles per hour. Any car can take you 150 miles. But if you want to go 150 miles per hour, you’ll need an expensive car with extra horsepower. The same thing is true with electricity. If you demand large quantities of electricity be delivered to you all at once, the electric cooperative has to build larger, more expensive equipment to accommodate that demand. Even if you only demand that much energy every once in a while, the cooperative still has to ensure its system is capable of handling that request when it comes. If Betsy and David use electricity the same way they use their cars, Betsy is going to be paying a lot more than David each month, even if their total energy use is the same. As the energy sector continues to move through this unprecedented period of innovation and change, cooperatives across the U.S. are experimenting with new rate structures to figure out the best way to recover costs and pay for the electric grid in a manner that is fiscally responsible and fair to all members. Most electric cooperatives charge a fixed monthly fee to be connected to the co-op’s lines. Common terms for that fee include customer charge, service availability charge or access charge. No matter what it’s called, the goal is to recover the cost of the poles, wires, bucket trucks, computers, switches and employees that bring electricity to your home or business. Those costs are the same every month whether you use a lot of electricity or turn off everything in your house and go on a month-long vacation. Most utilities, including electric cooperatives, have never charged the full monthly cost of service as a flat fee. Often, the fixed portion of a member’s bill is only a fraction of the actual cost to build and maintain the power lines to his or her home or business. The rest of that cost is made up with a separate delivery charge that varies based on how much energy you consume. To understand the difference between these structures, imagine a new vehicle with a sticker price that would require a monthly car payment of $500. Now, imagine if instead of charging $500 per month, the car company structured your payment so it was $250 per month, plus an additional 25 cents for every mile driven. If you drove 1,000 miles per month, you’d end up paying the same amount. If you drove more than that, your payment would be higher, and if you drove less than 1,000 miles, your payment would be lower. That’s how cooperatives traditionally charged for the delivery of electricity to your home. But as renewable technologies become more popular and consumers make better energy choices, the old model doesn’t fully cover the cost of maintaining the grid. Electric cooperatives are generating a growing portion of our nation’s electricity with renewable resources, and advances in automation and communications technology are making the power grid smarter and more reliable than ever. As not-for-profit, member-owned organizations, electric cooperatives want to help their members find the best energy solutions to meet their needs. 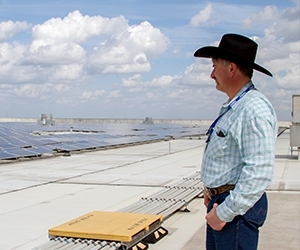 If members want to install solar, cooperatives want to help. If members want to reduce their energy use through home improvements and efficient appliances, cooperatives are eager to give advice. But even if we all consume less energy, we still need the power grid, and it costs a lot of money to operate and maintain that grid. By lowering the variable delivery charge and increasing the fixed charge, electric cooperatives can keep the grid running safely and reliably while allowing members to make the energy choices that work best for their lives. This system does a better job of fairly charging each member for the actual cost of their service. The total amount of money raised by the cooperative remains unchanged, but some members end up paying a bit more, and some a bit less. The coming years will bring many changes to the way we generate, deliver and use electricity, and advances in energy technology promise to greatly improve our quality of life. America’s electric cooperatives are working hard to ensure that whatever the future may bring, you’ll be connected to that future through a modern energy grid that is safe, reliable and fairly priced for all. Batteries will soon be part of a huge change in how you will receive electricity from your electric cooperative. • High-tech equipment can fail during a power interruption of even a few milliseconds. • Interest in renewable energy is increasing, but solar power won’t work when the sun doesn’t shine and wind turbines won’t spin when the wind doesn’t blow. • Consumers want electric service to be restored more effectively after outages. Even if a storm leaves a large number of homes and businesses without power for several days, consumers want plans in place to quickly restore power to essential services, like gas stations and pharmacies. A solution for these dilemmas lies in the emerging technology of battery storage, which could provide additional power when the demand for electricity is high. Currently, these large batteries are extremely expensive. But the demand for better smartphones, laptop computers and electric cars fueled a frantic race for batteries that are lighter, smaller, longer lasting and less expensive. These demands are being met through research into technical improvements and by the economics of mass production. What’s behind all these developments is the 40-year-old lithium-ion battery technology, named for the lightweight metal lithium it’s made of, and ions, which are pieces of atoms that move back and forth inside the battery to produce and store electricity. The next step for the battery industry, says Tom Lovas, a technical liaison and consultant with NRECA, is scaling up for applications in the electric utility industry. Right now only a handful of utilities are making significant use of batteries, but one industry research group predicts that number will grow eight times by 2020, for a market value of $2.5 billion. That kind of potential leads to some bold claims as battery companies compete for their share. “There’s a lot of hype out there,” Lovas says, as marketers tout batteries as the linchpin of putting together the smart grid to modernize the flow of electricity. For example, one of the most likely of those applications will be to resolve the problem of intermittent power flows created by renewable energy. Since solar and wind power can be generated during times when people don’t need it, batteries could store the excess energy for future use. While beneficial in theory, in practice it is not clear whether there is a broad economic case for this. Each utility will have unique factors that will play into this decision. Another use of batteries could be to smooth out power fluctuations from renewable energy. Solar and wind energy can come from a variety sources: independent vendors and even homeowners selling power back to the utility from their relatively small sets of solar panels or wind turbines in ways that are hard for the utility to predict. The result can affect the quality of power and even damage equipment as transmission and distribution lines are used in ways they weren’t designed for. But again, the economics of such an application are unique to each utility. In time, utilities will become familiar with the best uses of the technology. Storage applications will become commonplace, and vendors will sell optimized products for them. Until then, NRECA’s business technology and strategies group is using cases that provide methodologies for a storage assessment. Like all things in the energy industry, it is not all economics. Some state governments are getting into the act, passing laws requiring utilities to use batteries in their operations to encourage renewable energy and provide immediate power to essential businesses after storm outages. This new utility world holds great promise and could start taking shape in as soon as one to three years, Cotter says. But first, he says, the utility battery industry needs to mature and show the effectiveness of the products.